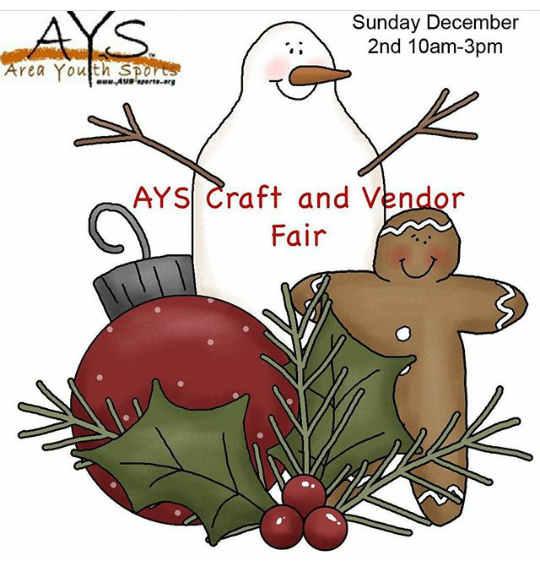 We at AYS hope you didn’t spend all your money on Black Friday because next week is our 3rd annual Craft Fair!!! There will be gifts for everyone on your list and even some special things for just for you! Come shop and eat, enter to win prizes from your favorite vendors, and even take in a Travel basketball game if you desire! Come and help our communities youth a win-win! We can’t wait to see you all there!! Here's our updated list of vendors! 18. primitive items -Patricia A Keay ?